Twenty years ago, Valentino Rossi celebrated his first world championship when he defeated Noboru Ueda in the 125cc class. After eight more titles, the 38-year-old takes a look back. 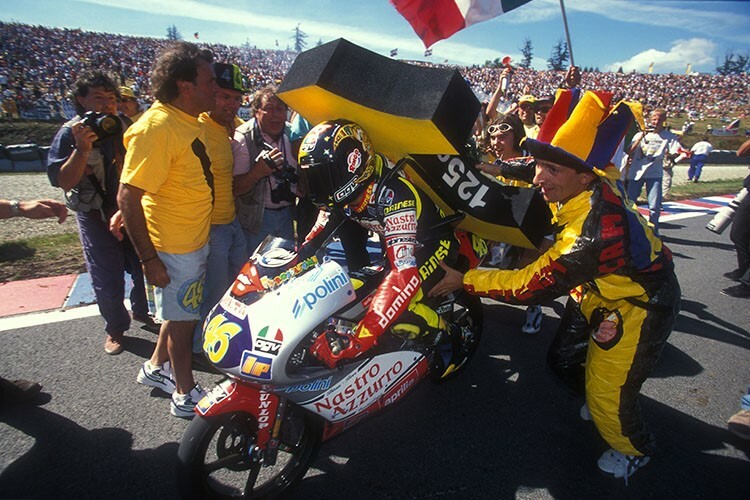 Valentino Rossi secured his first World Championship title in 1997 with a total of 83 points. The first great triumph of an unprecedented success story. After eight more titles, the 38-year-old MotoGP pilot is looking forward to his beginnings in the 125cc class. "Brno 1997 was a magical weekend on a great circuit. 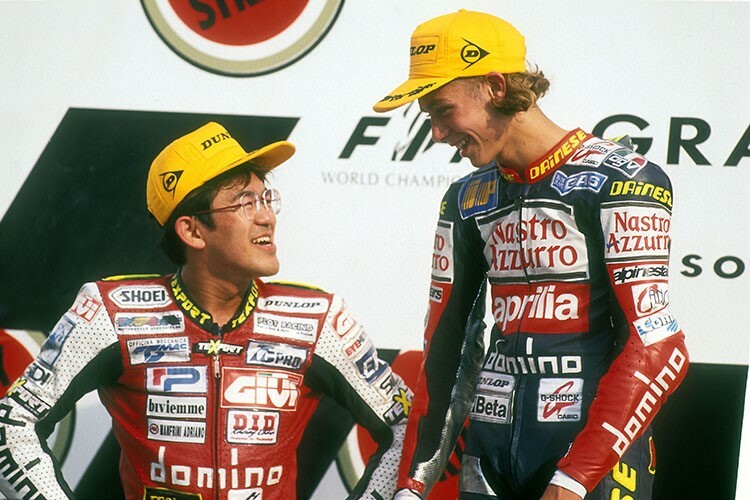 The year before, I managed to win my first GP race, "remarks Rossi, who finished third with his Aprilia behind the Honda drivers Noboru Ueda and Tomomi Manako. "I was very, very nervous before the race. And in fact, it was a very difficult race because I could not give a hundred percent, "Rossi reports. "I had to be third to secure the title. At the end of the last round, I finished 3rd. A great feeling and truly unforgettable. Then a special celebration began with people from Tavullia like Uccio. All my true friends, who supported me from the beginning, were there. It was great, an unforgettable moment in my career. For the first time world champions will really be like a dream that will come true. His friend and companion Uccio enthuses: "Valentino was, as always, simply unbelievable. He sleeps the whole night before the race, in the morning he is hardly wake up. When he won the title, it was a very emotional moment because he has worked his entire life to become world champion. At that time, it was more fun for us all. We fooled around, joked and won races. It was a very special moment for us. " Rossi's then rival Ueda praised the Italian against "motogp.com": "He was a young tiger. A very tough opponent. And very young. Nevertheless, he was already very professional. I am proud that I was able to compete with him at the time and also beat him in some races.